On the next screen, enter the Verification Code as received from Microsoft and click on Next. Exit command prompt and installation disk now to reboot Windows 10 normally. Passwords for a Microsoft account must have at least 8 characters and contain at least two of the following: uppercase letters, lowercase letters, numbers, and symbols. And who knows what will happen when the system is rebooted. Thanks for continuing to tend this post and answer questions. 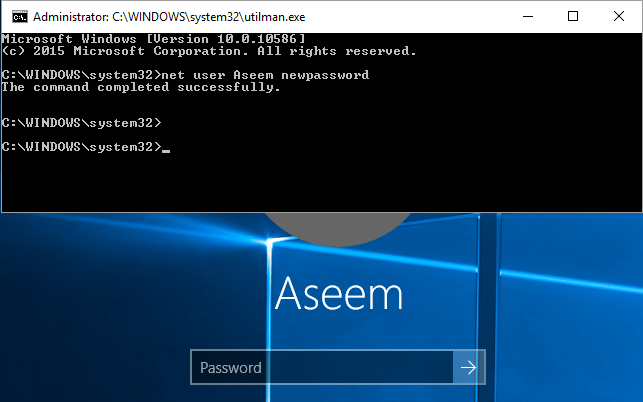 How to Reset Windows 10 Local Admin Password Using Command Prompt As we know, Command Prompt is another powerful way besides Windows password recovery tool that can effectively reset Windows password. It shouldn't be telling the administrator that the administrator can't change the password. So how do I even access the start button or much that have been explained above? The lack of informative follow-up response by apparently Microsoft's Amit Kumar is simply unprofessional. If that doesn't help, someone has changed password. However, it does not work with any Windows version if the system drive is encrypted. However nothing is changing as I have never activated said account. Connect installation disk to Windows 10 computer where you want to reset forgotten local admin password. Any suggestion would be appreciated. Hope this information is also helpful. So in this post, we will talk about how we can no matter the Windows 10 computer is accessible or locked. More ways to create password disk, please see Step 2: Start locked Windows 10 computer from installation disk. You can either choose alternative email id to get the verification email or you can select account associated mobile number to get the verification code in a text message format. How do I as the administrator change the password for the user account. Only happened this morning and after spending the last 5 hours going back and forth with Microsoft don't have the heart yet to try your system. Instantly Windows 10 local account password will be reset. Ensure that you are really using the correct password by clicking the eye symbol in the password field. Microsoft doesn't make it easy to reset your password, but you have some options. This works as simple as that. If you have a valid phone number or an active email id associate to your Microsoft account, you can easily reset Windows 10 Microsoft user account password. 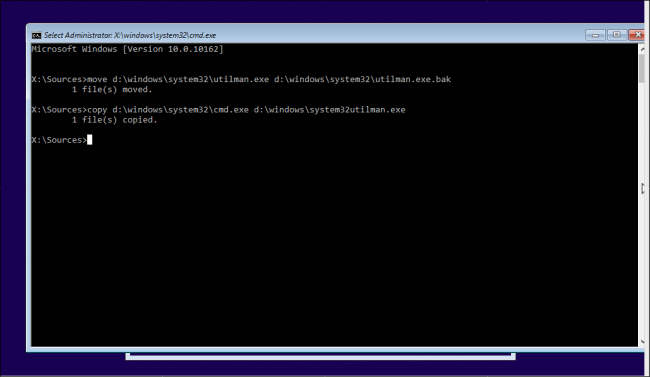 I performed to restart the pc and I can open the cmd though the utilman button. Then I went into admin account again and recopied the old ntuser files back to their original location except I did not copy the updates the ones with hex-code identifiers. Shift+F10 at 4 also goes to step 10 above. Method 6: Restore Windows 10 to Previous State If you don't want to use any Windows 10 password reset software or your hard drive is encrypted with BitLocker, you can restore your computer to the most recent restore point includes an old password that you do remember. You must be signed in as an to be able to do this option. Fn keys seem to be useless. Trouble shoot option leads to 'reset or advanced screen' 7. I can confirm Bo, and add that it in safemode it worked one time for a minute, then the command shell got closed and would no longer work. The procedure is always the same. Not sure if it an oversight on their part or some character set issue. Change User Account Password to Picture Another login option as available in Windows 10 is to use picture or pattern, instead of using your regular User Password. Please make sure the location of the utilman. Method 1: Use Password Reset Disk Using a password reset disk is Microsoft's official method to reset a lost Windows password. While Windows 10 successfully boots from installation disk and you see Windows Setup window, press Shift + F10 to open Command Prompt. I added a warning now. 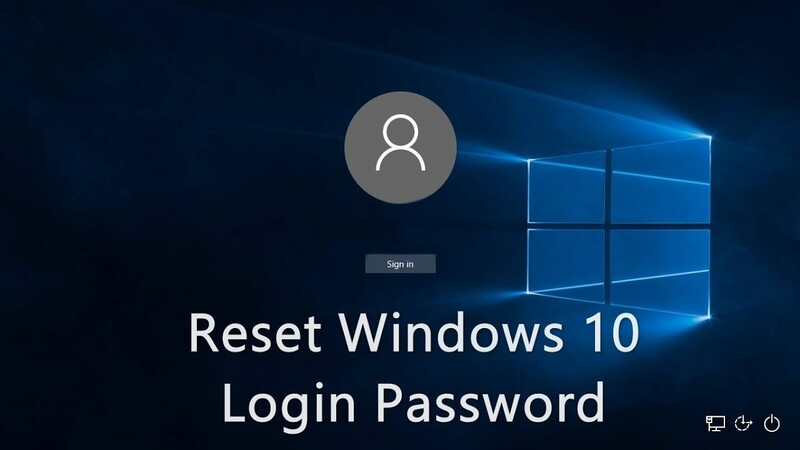 Resetting a Windows 10 Password Using a Password Reset Disk The traditional way to reset a Windows 10 password is to create and use a password reset disk. 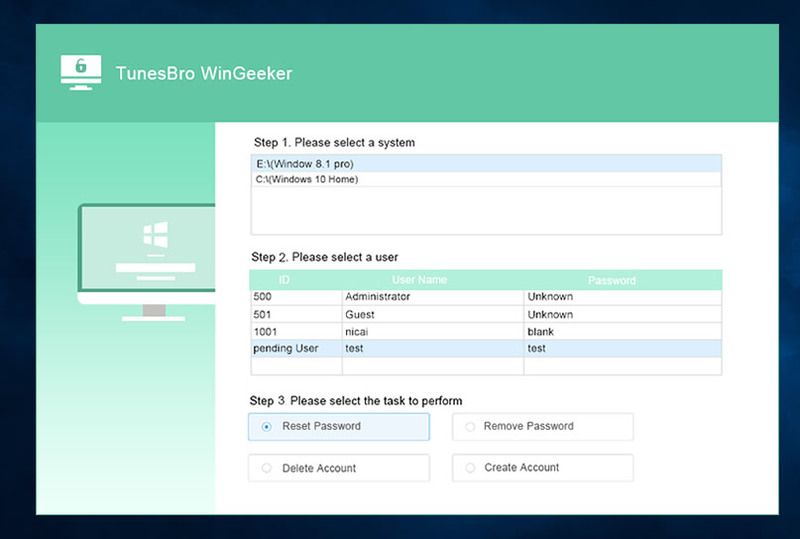 Step 6: Log into Windows 10 with local admin account. And this can be problem big enough for you as you wouldn't be able to make use of your system. If you don't have another administrator account, then you can to sign in and use to reset the password of the other account. Click on Send Code button. Unfortunately am realising that none seems to be addressing the scenario am experiencing. I tried resetting windows, repairing it as well but it asks for password. Without the questions, there would be no way to verify if it's you when resetting the password on the sign-in screen, so they just made it a requirement. 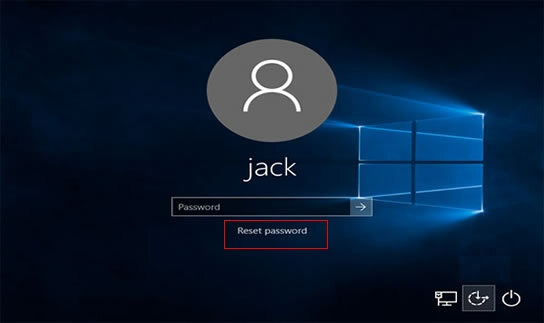 When you reset the user account password, keep one thing in mind that whether you reset a Microsoft Windows account password or you retrieve the local user account password. I hope this help others that have read this far into the comments. Hey, thank you so much for the steps, but I'm able to log-in with my 4 pin 4 numbers password, but I forgotten my main password. Fortunately, I manage to remember a password that I had decided to use.